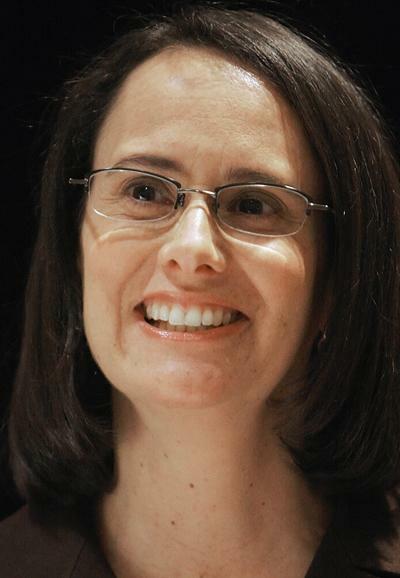 The Illinois Attorney General’s office fielded 32,000 consumer fraud complaints in 2009, and a good share of those involved senior citizens, Attorney General Lisa Madigan says. To help combat the problem via increased consumer education, she was in the Quad-Cities on Monday to announce that a new advice-filled book, “Every Cent Counts,” is available free to state residents, with an emphasis on senior citizens. “Financial exploitation is the top crime against seniors,” she told about 50 retirees gathered at the Moline Public Library. The attorney general’s office, in partnership with Alternatives for the Older Adult, Moline, fights fraud with efforts that include sessions such as the one held Monday. Madigan highlighted a so-called “grandparents scam” as one of the top 2010 frauds around the state. “That’s the one that I think is most likely to be effective,” she said, explaining that scam artists claiming to be attorneys, paralegals or police officers frantically call a senior citizen, saying that a grandchild is in trouble. The grandparent then is directed to withdraw a large amount of money to help. “You decide you’ll do everything in your power to help your grandchild,” she said, citing the case of one grandparent who was standing in line at a bank to withdraw the funds when his granddaughter called and told him she was fine. Nothing will protect a senior citizen 100 percent from potential scams, but Madigan said increased knowledge and education help. “There’s a lot you can do to avoid the possibility of fraud,” she added. Erin Ruebbelke, a consumer program specialist from Springfield, explained the aspects of several common frauds, including a Medicare “spoofing” scam. Seniors are advised to never give out personal information over the telephone unless they initiated the call. Ruebbelke’s other suggestions included: Get on the federal “do not call” list, get regular credit reports from one of the three firms in the United States that provide them for free, enroll in online banking to check bank balances often and call credit card companies to work with them on adjusting interest rates or other fees. “We need to be wise consumers, too,” she said.